Roman Pan Clay Roof Tile is truly an architectural legacy of Ancient Roman and Greek artistic design. Re-creating this traditional flat Roman Pan Tile and pairing it with high-crown Classic Tapered Mission Tops, MCA captures this timeless architecture for both commercial and custom residential projects. 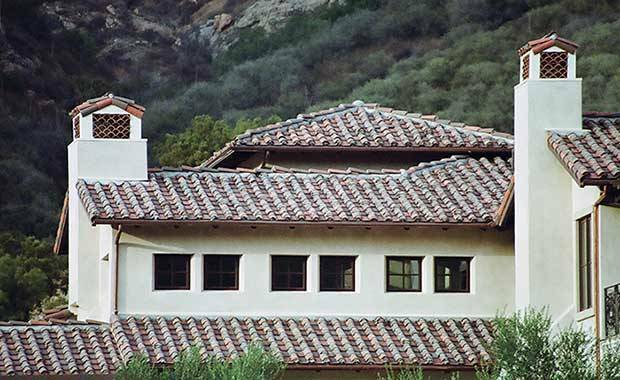 Available in a variety of textures, including Sand Cast and Pebbled, and an endless array of cool roof-rated colors and blends, MCA Roman Pan Clay Roof Tile adds an inviting Tuscan look to any building. Choose from our Designer’s Blends, or create your own custom blend. MCA Roman Pan Clay Roof Tile is made in the USA and is ASTM C1167 Grade 1, the highest quality clay product available. Competitively priced, this product is also backed by a 50-year limited warranty. Exposed Size: 16″ x 14″ O.C. Weight per square: 910 lbs. Weight per Piece Top: 8 lbs. Exposed Size: 406mm x 355.6 O.C.